Agent Jane Blonde Pokies -A World of Adventure. The world of guns, espionage and high-tech gadgets sometimes needs a little feminine finesse. 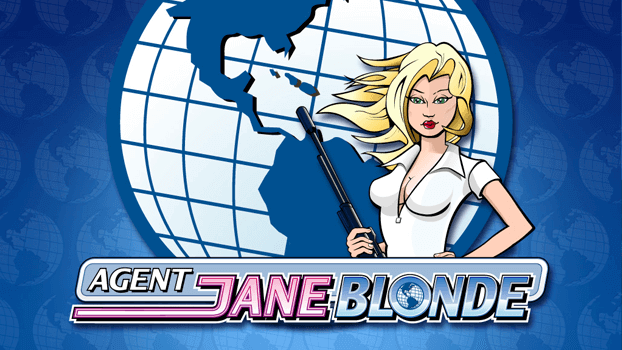 Agent Jane Blonde, knows how to get the job done, and by joining her on a top secret mission players stand a chance to earn themselves some serious rewards – if they’re brave enough. It may be a rather simplistic adaptation of 007 with a female twist, but that’s not to say Agent Jane Blonde Pokie isn’t packed with character and excitement through a range of special features that increase the odds of a sizeable win. Despite now being a few years old, Agent Jane Blonde has remained remarkably popular, and there’s a reason seasoned pokie players would return to the same game over and over. A 5-Reel, 9-Payline Video Pokie, the Agent Jane Bond Slot certainly offers players a world of opportunity and delight. In all honesty, it isn’t the game’s looks that sets this online real money pokie aside. Although they are bright and colourful, the cartoon-themed graphics are very simple. The symbols include images of our heroine in various scenarios befitting a gutsy secret agent. These include her shooting at bad guys, posing with fast cars, speedboats and planes. Several of her gadgets also feature as symbols, such as night-vision goggles, chewing gum explosives and lipstick that presumably doubles as some sort of weapon. Agent Jane Blonde’s special features reveal just why players have not forgotten about it and moved on to something newer and flashier. 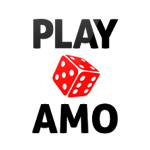 The game’s features are simple yet rewarding. Landing 3, 4 or 5 Agent Jane Blonde logo scatter symbols across the reels triggering a bonus of 15 free spins wherein any wins are tripled, and those free spins can be retriggered. Scatter wins are multiplied by the total number of credits staked and are added to the payline wins. The closeup of Jane herself is the wild symbol, which not only doubles wins but also substitutes for all symbols except scatters, five of which will result in an attractive win of 10,000 coins. Agent Jane Blonde also includes a gamble feature which affords daring players the opportunity to boost their win to a maximum of 10,000 coins by correctly predicting the card colour and suit. You can even do that up to 5 times over. The base game jackpot can award players with up to 50,000 coins, a good-sized fortune that could be swelled significantly through the free spins bonus. As you start to add these figures you can begin to believe just how big wins on the Agent Jane Blonde slot – or Pokie as we Ozzies so fondly dub this sort of casino game – have the potential to be, and just why players keep coming back for more.